Since the outdoor deck plays such a key role for your exterior, it’s very important to give your design ample thought before diving in. We’ve highlighted a few areas that you should be sure to take into account. Use these as a guide as you bring your outdoor deck together and you’ll create an equally functional and aesthetically pleasing space that will serve your family for years to come. Pressure-Treated Lumber: The most popular and gives that classic hardwood look, but requires lots of maintenance and is very susceptible to warping. Redwood: Other woods like Redwood and Cedar are slightly more durable, but are often more expensive. Composite: Plastic or a composite material requires very little maintenance after installation, but can be limited in terms of color and other aesthetic options. Aluminum: The most durable and also the most pricy material. As you begin to consider how to break up the space on your deck, your main focus should be on how you plan to use the space. 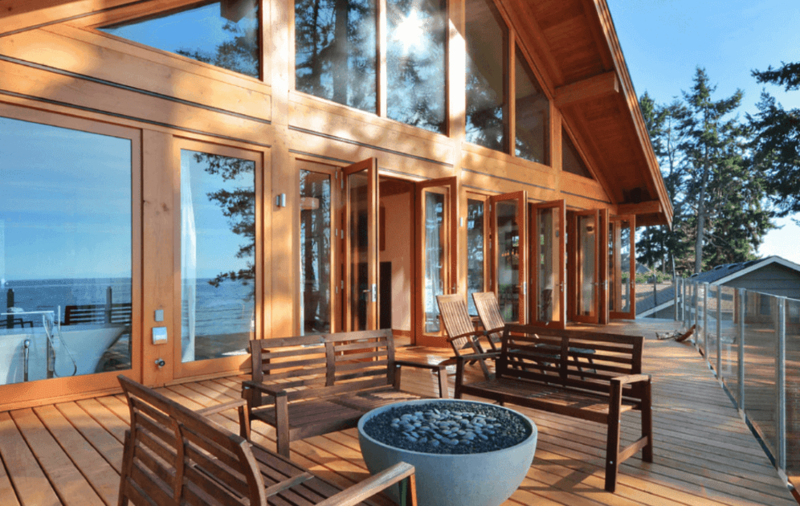 It’s likely that you’ll want to use the deck in at least two or three distinct ways, so use furniture to visually separate the space into a few clearly defined functional areas. Think about leaving a small picnic table in your play areas for the children or setting up a food prep station by the grill for those nights when you want to be able to barbecue. You may also want to consider adding at least one seating set where you can just relax or using a grand dining table to signify the eating area when it’s time to sit down for your al fresco meal. Once it’s set up, your deck is bound to become a flurry of activity. Whether you have people carrying trays of food out a grill, climbing stairs from lower levels, or young children running around and playing games, as you’re designing the space it’s critical to consider the flow of movement. Start by making sure that there is a clear and distinct path way between each of the different functional areas within the space. If you’re unsure if you’ve left enough room, take a step back and reevaluate from a distance. You’ll know instinctually if there’s enough room for someone to pass by unencumbered, but when in doubt, remember that in this case more room is better. 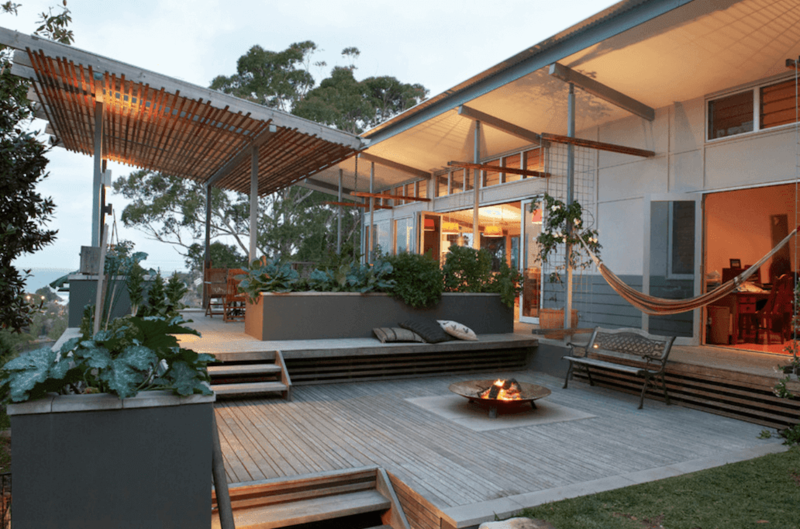 If you worry about having enough room to roam, you could always consider a few outdoor deck ideas that incorporate multiple levels. 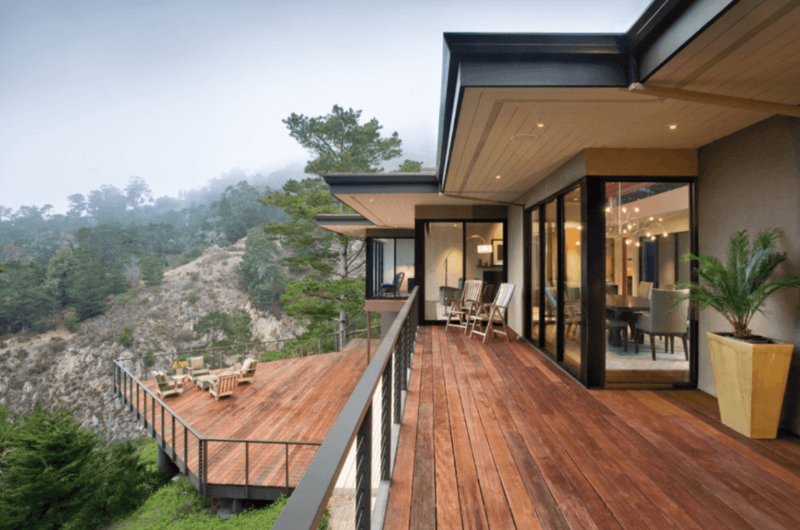 Building a deck of that caliber will undoubtedly add lots of architectural interest to your space while also giving you more control over the final design. When dealing with multiple decks, you may want to consider moving each function area to its own level. Just be sure to tie them all together with aesthetic details like similar landscaping. Plus, you’ll want to make sure that they all connect via an easily-accessed stairway. By and large, entertaining is where your deck will really really shine. Whether you’re just serving up a casual dinner for your immediate family or you’re planning a big bash with all your friends on the guest list, you’ll want to make sure that your deck is set up to make hosting the event as simple as possible. Making sure that your deck is outfitted with plenty of lighting and maybe even a few speakers will instantly set a party atmosphere. Also, the addition of an outdoor kitchen and/or wet bar is a great option for those who don’t want to be stuck in a kitchen while the party goes on outside.